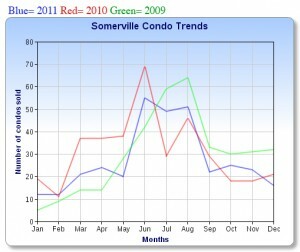 Somerville condo sold $ volume for the month decreased sharply by 40%, YTD dropped 3.7% from 141 million in 2010 to 136 million for 2011. 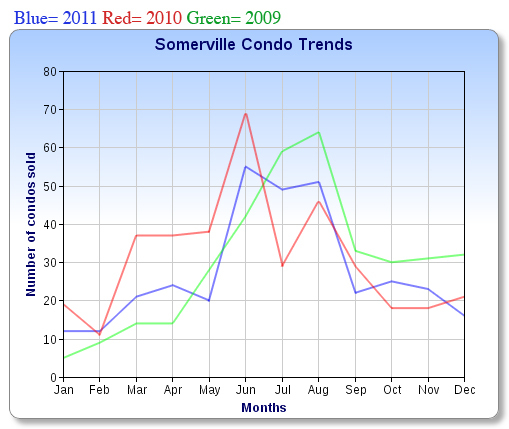 ~ Sold average days on market increased improved by 23 days. 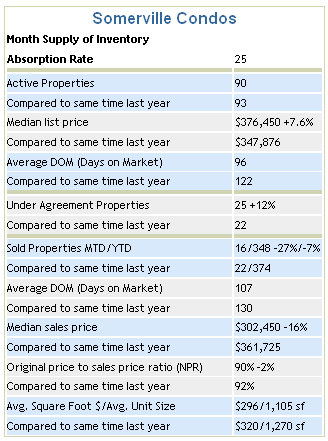 The original price to sale price ratio dropped by 2% to 90% of the original list price. ~ The average square foot price dropped to $296 per square foot from $320 with the average condo size of 1,270 square feet shrinking to 1,105 square feet. Look Who Has Joined Our Team!